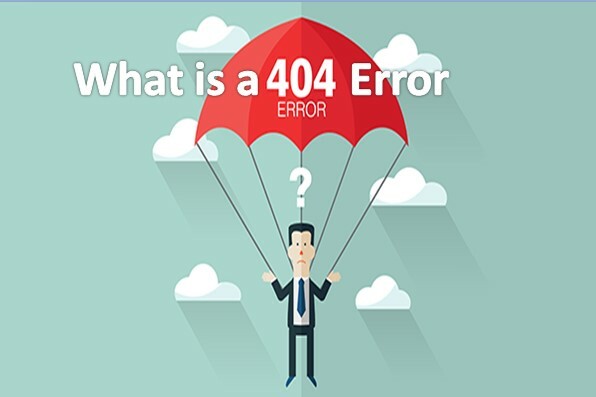 today I'm going to tell you everything you need to know about 404 error for your website. is it basically stands for 404 page not found and it actually is not a bad thing So, anytime there's a page that's not found on the web, it's completely natural pages get deleted for many reasons, or they break in some cases. but, it's something that you definitely want to keep an eye on. and, what it is, it is a status code that basically tells you that this page is no longer there. you want them to go to a custom 404 page that returns a 404 status code. it has been set up with some intent. or list a special offer or basically, take the same type of things that I would be looking to advertise inside of a homepage banner, or through a pop-up and put it on that 404 page. I'll tell you this works the last time I did this actually saw a very good jump in conversions in sales as a result of doing it. so try that with your next 404 page if you're an e-commerce site. this simple test could result in a large increase in sales for you. so with 404 pages what you really want to watch out for, is that these are not happening without you knowing, right? and it's not an accident and it's not because your website broke or you did a website transfer, and when you did the website transfer you forgot about some URLs and did 301 redirect them. 404 errors that are not done on purpose can be really bad in devastating for your website. so I was working with this one large e-commerce client recently. and this large e-commerce site every month or so they'd have a new batch of another hundred 404 errors. more and more traffic over time. so you don't really want to have 404 if you can avoid it. the way that search engines work, and general websites online that take other people's information and display it, is they want to have URLs that they can rely on. that you're just maintaining the URL, and not having to redirect it if possible. the longer a page is on the Internet the more that it's updated, the more credibility that it has, the higher it's going to rank, and more traffic it's eventually going to accrue. so you really got to watch out for that for 404 pages and make sure that, especially if it's after a website transfer, or if they seem to be kind of happening for no reason that you get to the bottom of it quick. So, a couple other things about 404 errors. if you want to find out if you have them or not, you can go inside a google search console there's a great report that shows you if you have 404 errors. a potential 404 page and that can be really important too, right? you know one of 404 pages that had a lot of traffic, or had a lot of backlinks to them. because those backlinks help the overall rankings of your website and you might want to redirect those somewhere else. or just keep that URL live because maybe of an internal link from there to another page to push that higher. so you can see your 404 errors inside a Google search console, that's a great place to look outside of that you can run third party tools like screaming frogs, SEMrush deep crawl the list goes on, to determine where your 404s are on your website. so that's it for 404 error today. hope you guys learn something. there's a lot to be said about it. mostly because the term 404 bleeds over into a lot of other issues that arise around 404s. so keep an eye on them hopefully you don't have too many. if you do have some, and it's done because you did it on purpose that's totally fine.